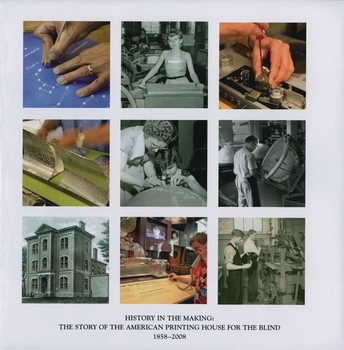 This beautifully illustrated 150th anniversary volume celebrates the history of the American Printing House for the Blind — which is based in Louisville, Kentucky — and examines its mission to provide specialized materials, books, products, and services to the visually impaired. Author Carol Tobe guides the reader through all of the Printing House's mechanical innovations and evolutions right up to today's digital solutions. Hundreds of color photographs showcase the Printing House, its people, and machines of the past and present. Its story is virtually the story of blind people in America.